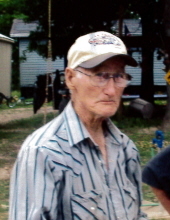 James Arthur Pankey, of Rolla, passed away Monday, March 11, 2019 at the age of 82. He was born on March 5, 1937 in West Plains, MO to the late Cub Pankey and Madeline (Mitchell) Pankey. On January 5, 1982, he married Gladys Marie (Carrick) Pankey who survives of the home. In addition to his parents, James was preceded in death by one son, Dusty Pankey; a grandson, Brody Tomnitz; two brothers, David Pankey and Dale Pankey; and two sisters, Kissie Williams and Cubby Eileen Pankey. James was known as the watermelon man to many. He sold watermelons and peaches to the surrounding community for 45 years. James will be sadly missed by his surviving family which includes: his wife, Gladys Pankey of Rolla; two sons, Jay Tomnitz and wife Thelma of Rolla and Rusty Pankey of St. James, MO; six brothers, Lawrence Pankey of Vichy, MO, Charlie Pankey of Rolla, MO, Bertie Pankey and wife Sharon of West Plains, MO, Cub Pankey, Jr. of Alton, MO, Kenneth Pankey of Alton, MO and Mac Pankey and wife Rose of St. James, MO; three sisters, Sally Hader and husband, Rodney of Independence, MO, Myrtle Watson of St. James, MO and Madeline Jones and husband James of West Plains, MO; three grandchildren; eleven great grandchildren; many nieces and nephews; and a community of friends who will miss him dearly. A funeral service for James A. Pankey will be conducted at 1 p.m. on Friday, March 15, 2019 at the Null and Son Funeral Home in Rolla. Interment will follow on the Tomnitz family farm in Rolla. A visitation for family and friends will be held prior to the service beginning at 11 a.m. at the funeral home. To send flowers or a remembrance gift to the family of James Arthur Pankey, please visit our Tribute Store. "Email Address" would like to share the life celebration of James Arthur Pankey. Click on the "link" to go to share a favorite memory or leave a condolence message for the family.